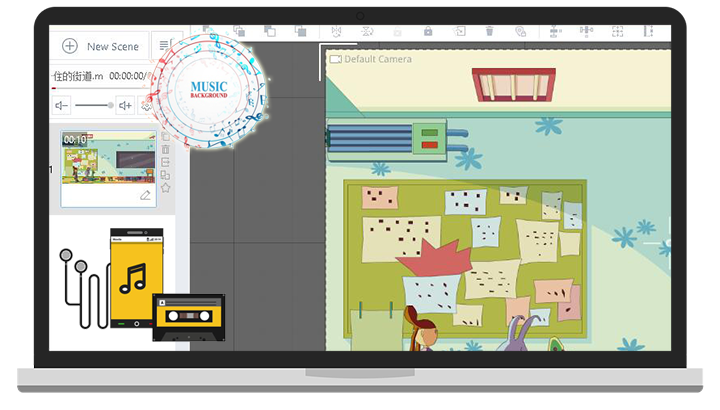 This animated video creator is focused on creating explainer videos, demo videos, corporate video and marketing video for business and education. Get started from hundreds pre-made video templates, every one can make professional videos easily. Animiz offers an array of beautiful background templates for you to use. From background image to background scene, you have full freedom to choose the one that match the video best. Even the video background templates are available for you. Not find a pleasing one among these background templates? No problem! You are also given the option to upload your own image to use as the background. This curve animation feature allows you to animate your elements in a curved path, which takes the video to the next level. What's more, you are able to adjust the angle of the curve to make the path smoother. Try to use this animation effects to display roller coaster rides, shooting stars falling at length from the sky, or any other elements that need to move along a curved path. An animated video made by Animiz can be not just about the cartoon characters and the animation effects. In fact, you can also apply effects for scenes transitions to make the video stand out. 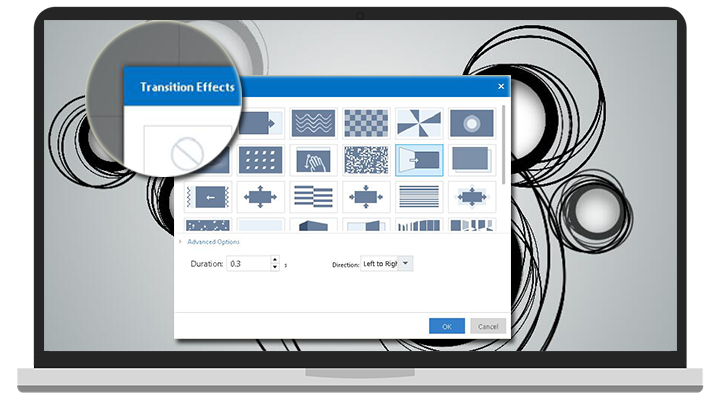 In Animiz, you have an easy access to a wide selection of transition effects for scenes. In addition, some of these transition effects can be edited in terms of transition direction, transition duration and so on. Image there is an animated video with beautiful background. It should be very exciting, when you watch this video. Luckily, this animated video creator gives you the chance to add background to your animated video. You can use the music in the local files as the background music for the video. 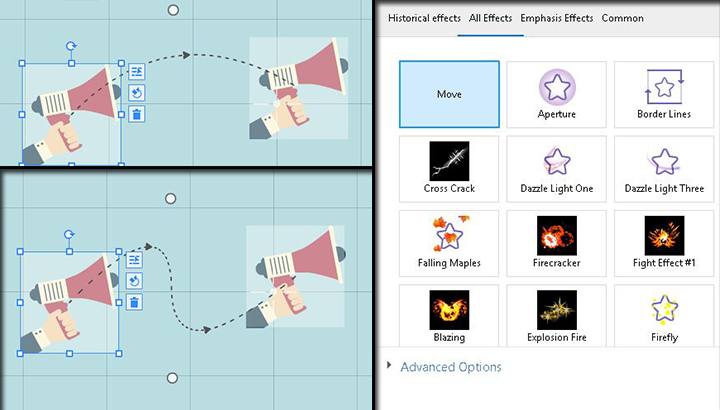 Furthermore, Animiz empowers you to customize the background music with offset time and effect options.